The Tata Sons controversy has raised governance concerns. Arun Duggal and Mohandas Pai on the role of independent directors in such conflict situations. I am very saddened by the boardroom battle in Tata Sons. Tata Group is held in the highest esteem in India and is the most respected Indian group internationally. Its corporate governance and ethical standards have been of the highest order in the past. Therefore, the present situation is tragic and I hope the Tata group recovers from it soon. Leadership succession and transition are very complex and difficult in all areas, particularly so in business. It is for this reason that leadership change is one of the major responsibilities of the board of directors. They must ensure that the change is well planned and executed in an orderly manner. But things don't always work out well and boards have to deal with a crisis or two. The compassion, sensitivity and wisdom of woman directors will help enormously the Tata Sons board get through the crisis and recover its reputation. In 1982, I was in the United States with Bank of America, the largest bank in the world at that time, when its chairman Tom Claussen was appointed president of the World Bank and his chosen successor was Sam Armacost. Four years later, Bank of America was on the ropes facing a very serious crisis. The board lost confidence in Armacost and brought back Claussen as chairman. It was a very difficult situation, but the board of directors managed it exceptionally well. 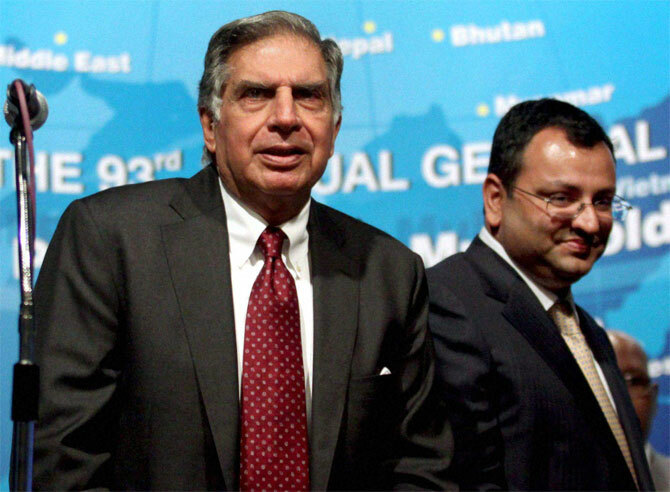 I very much hope that the board members of Tata Sons, particularly its independent directors, rise up to the challenge and help find an amicable resolution of the conflict between the two major shareholders and two board members, namely Ratan Tata and Cyrus Mistry. Hopefully, they do this without the media glare. In addition to Farida Khambata, they should also immediately induct one more accomplished woman director of the calibre of Indra Nooyi or Zia Mody, as independent director and member of the search committee of Tata Sons. 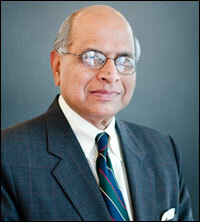 Arun Duggal, left, is an experienced independent director and board chairman. This event has been a clear case of failure of corporate governance at Tata Sons. There has been a palace coup in which the independent directors have participated, forgetting their obligations to 100 per cent of shareholders. A dominant shareholder exercised his influence to oust a legitimately appointed chairman, selected after a global search. The board did not even show the normal courtesy of discussing the state of affairs of the investments with the chairman, or include the discussion in the agenda. The board took the wrong route of putting it as 'any other item,' springing a surprise, and not allowing the chairman to express himself to the charge. This was morally and ethically wrong, more so since it was done to the chairman of a company. The board voted in favour of ousting the chairman, with reportedly two directors abstaining. Interestingly, five of the nine directors were appointed to the board in the recent past -- between April 2015 and August 2016. There seems to be a conspicuous pattern for long-serving superstar chairmen across corporate India, who just don't want to give up power. The move clearly demonstrated the dominant role of a former chairman. The board, then, invites the former chairman to head the board in the interim period. It also asks him to head a new search committee with four members being independent directors, who are already under the influence of the interim chairman. True, the articles (of association) give such a power to the trusts, but were a letter from the trusts asking for this put before the board and discussed? Any new appointment as chairman will now also be subject to the veto powers of one person, showing a lack of independence of the board and oppression of rights of minority shareholders. The letter by the ousted chairman (to the board members) clearly shows the undue influence of the former chairman, the challenges due to wrong business decisions, unviable debt, and individualistic decision-making. The letter also raises the issue of lack of freedom to operate for the new chairman. This seems to be a conspicuous pattern for long-serving superstar chairmen across corporate India, who just don't want to give up power. 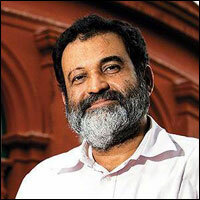 Mohandas Pai, above, is chairman, Aarin Capital Partners. IMAGE: Ratan Tata and Cyrus Mistry.